Gwen Anderton is looking forward to a peaceful Christmas with her husband Edward in their beautiful home in Wales. A bed and breakfast, Haven is usually closed for the holidays, but Gwen makes an exception when her openly hostile stepson plans a visit. Additional guests, she hopes, will make things bearable. Justin Michaelson is delighted to return to Haven, and to bring his quirky and feisty fiancée Myrtle, but his doubts over whether he should marry her are exacerbated when she takes exception to Gwen s LDS faith. Fading Hollywood star Jacy Grayson is filming a movie in the rugged Welsh mountains. Desperately clinging to her former fame and glory, she almost fails to recognize the love of the man who has been with her through good times and bad. Also among the visitors are Alan and Judy Fuller, who are trying to escape the seasonal reminders of their greatest sorrow their inability to have children. As always Gwen longs to help, but their heartache is one she shares. 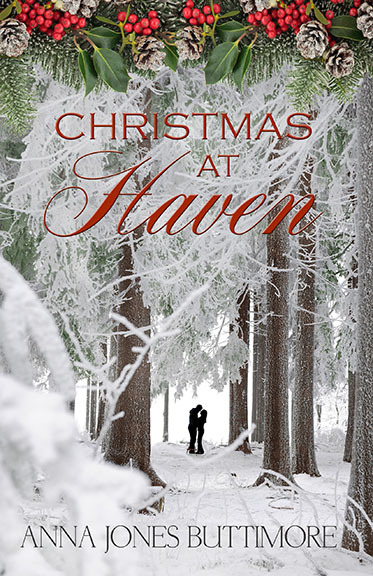 In this atmosphere of uncertainty, sparks fly as the guests are trapped at Haven by the snow. It takes all the magic of Christmas and the faith and love of their remarkable hostess to restore the light and joy the guests long for, even as she comes to realize this Christmas at Haven may be her last.